Are you looking for a June 2019 Florida holiday? Enjoy summer's best prices with an early June departure date. Prices increase towards the end of the month as the peak tourist season approaches. Our Orlando holiday June 2019 is based on a group of 6 adults staying in a 3-bedroom apartment at Cane Island Resort in Kissimmee. The price includes Virgin flights direct to Orlando from London, Glasgow or Manchester, along with fully-insured van hire. This package is popular with our customers, but don't worry if you have different requirements. We can tailor any June 2019 Florida holiday to suit you. Stay in your choice of hotel, villa or apartment. Fly from your local airport. For more details, speak to one of our knowledgeable Florida agents on 01934 319 851. We're even available on evenings and weekends. For a written email quote, complete our quick online enquiry form. Virgin's June 2019 Florida holiday flights depart Gatwick, Manchester or Glasgow and fly direct to Orlando. If you would rather depart a different UK airport we can arrange a quick connecting flight from Edinburgh, Aberdeen, Inverness, Belfast, Exeter, Newquay or Isle of Man. Supplements are typically less than £50 per person. Your hold luggage will be automatically checked through to Orlando. Virgin offer online check-in and seat selection, saving you time at the airport. They have a decent baggage allowance and all onboard meals and drinks are included so there are no unexpected extra charges. Flights are around 9 hours in length so every seatback has an entertainment screen to help pass the time. Pick from a wide selection of movies and games. Children are well catered for – a special kid's menu should appeal to even the fussiest of eaters! They'll also receive a KiD backpack of goodies to keep them amused. Virgin's website has more details of their child-friendly flights. Virgin are a popular choice on the Orlando route, but some of our customers prefer to fly with British Airways, Delta, United, American, Thomson or Thomas Cook. This is no problem at all – we deal with all airlines. Let us know your preferences and we'll send you a tailored quote for your Orlando holiday June 2019. Our June 2019 Florida holiday includes a fortnight at Cane Island Resort in Kissimmee. 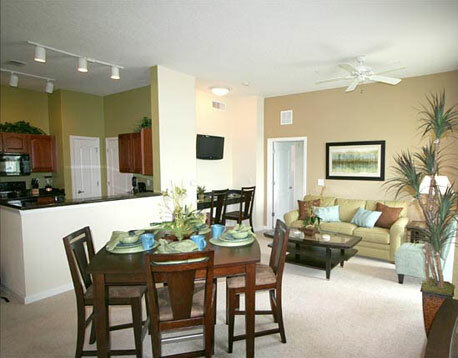 The 3-bedroom apartment includes 2 bathrooms, a full kitchen, cable TV, washer/dryer and the usual home comforts. Sit on your own balcony and enjoy a cold drink. Community amenities include a clubhouse, workout area, wi-fi, sauna, swimming pool and spa. Gated access and a night patrol provide security. Read impartial reviews on the TripAdvisor website. Over two hundred reviews average a 4.5 star rating. 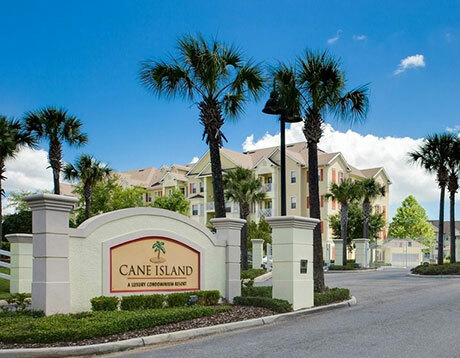 Cane Island offers a great balance between quality and price, but Florida has no shortage of accommodation. If you'd prefer to stay elsewhere, get in touch. We'll be happy to provide a bespoke quote for your Florida holiday June 2019. If you prefer a specific vehicle or any additional services (such as the Young Driver Package), contact us and we can provide a quote. We can also provide economical rates with Avis, National, Dollar and Budget. Our Orlando holiday June 2019 is available from £825 per person. 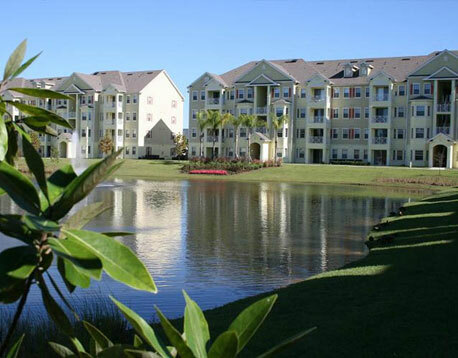 It includes 14 nights at Cane Island Resort in Kissimmee, Virgin flights to Orlando and fully insured vehicle hire. Book with a small deposit of just £100 per person. The balances aren't due until 90 days before departure. All of our holidays are ATOL protected. Call us on 01934 319 851 for a June 2019 Florida holiday quote. Or complete a quick enquiry form for a written quote by email. If you're looking for inspiration for your holiday, why not visit our dedicated Florida Holidays 2019 page? We are currently writing offers for every month and will shortly be adding our Easter and Christmas packages. Early bookers benefit from the best value prices and first choice of accommodation. Book with a low deposit and ATOL protection. Easter is a great time to visit Florida but you'll need to hurry for the best value. Flights and accommodation get snapped up early so don't delay. Our April 2019 Florida holiday offer includes two weeks in a luxury Highland Reserve villa, Virgin flights and vehicle hire. We can also provide hotel or apartment accommodation if you prefer. Contact us for a tailored Florida holiday quote. Low deposits and ATOL protection allow you to book with confidence. Our May 2019 Florida holiday suggestion is a couple of weeks at Blue Heron Beach Resort. 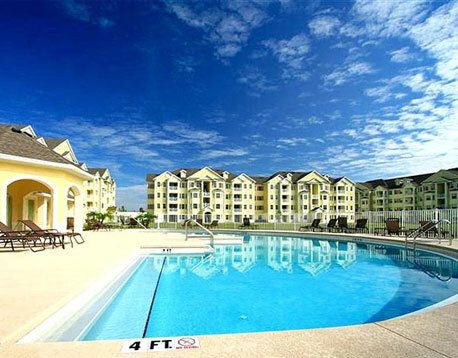 This fabulous resort is just 5 minutes from Disney – ideal for families. We also include Virgin flights and fully-insured vehicle hire. If this doesn't appeal, we can also provide Florida villa holidays or hotel accommodation. Just let us know your requirements for a bespoke quote. Book with a low deposit and ATOL protection.